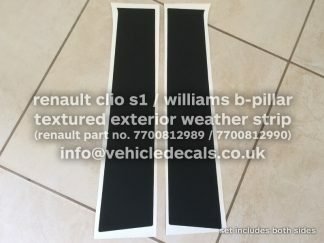 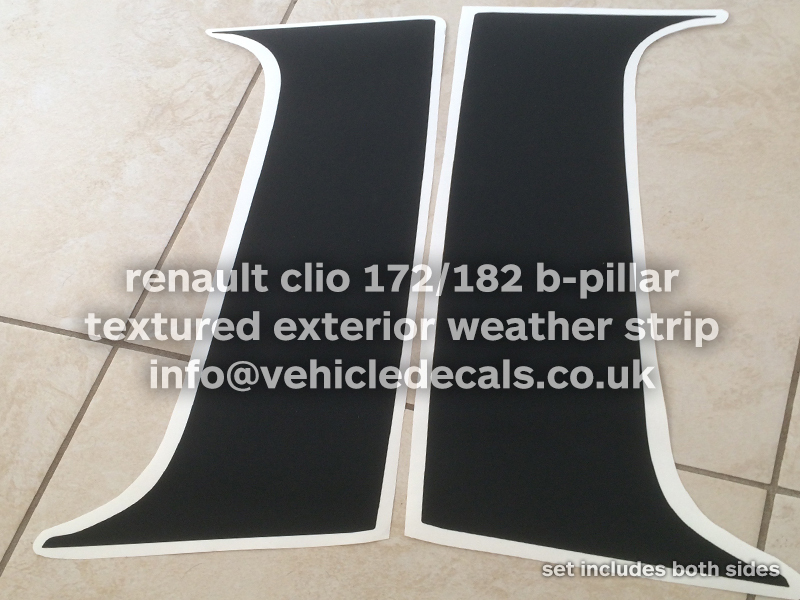 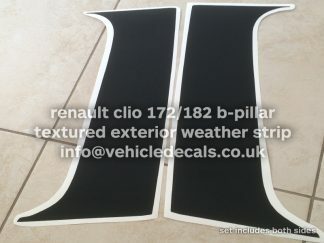 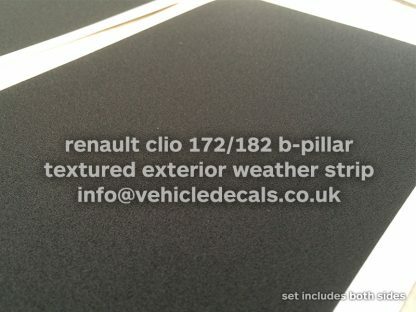 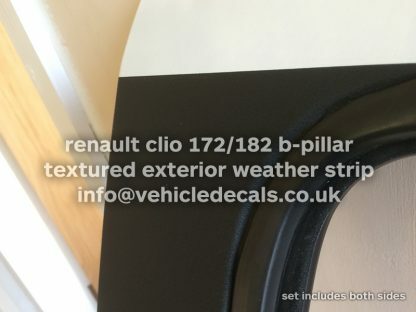 These are our own custom made Renault Clio 172 / 182 B-pillar door side adhesive vinyls in a premium exterior plain textured weatherproof material. 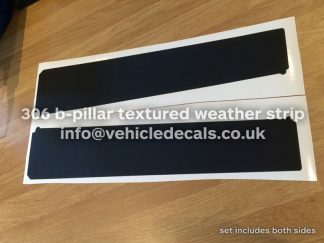 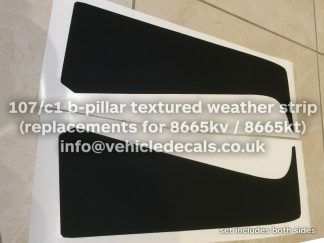 These were never applied on standard 172/182’s but after a huge demand for them since doing our other range of B Pillar Weatherstrips, we’ve produced these using a spare Clio door we had lay around.  We think you’ll be over the moon with them. 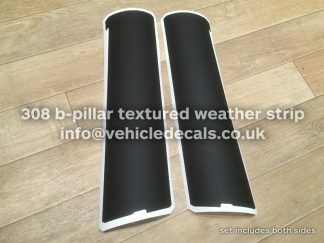 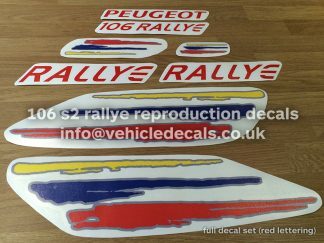 These will help keep the visual blend across the side of the car from the rear quarter glass to the front door, and also protect the door pillar from scratches and fingerprints. 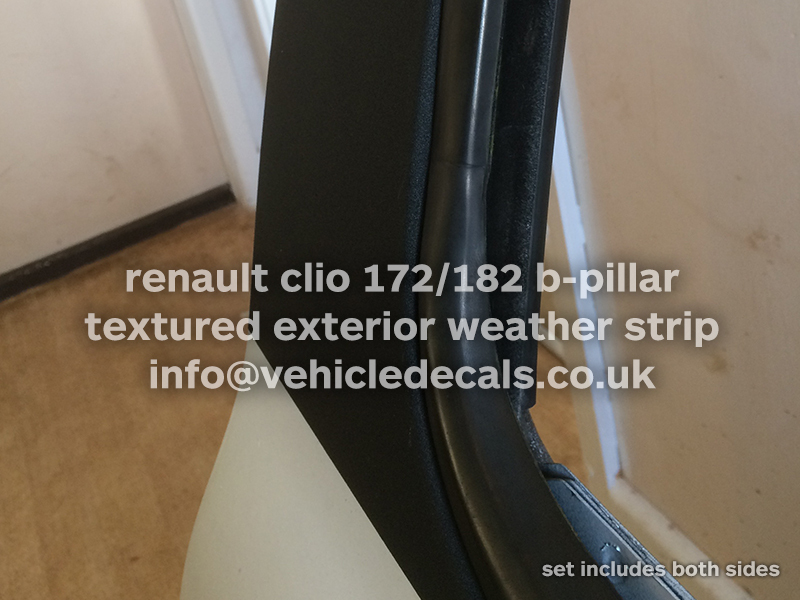 Simply remove your others, line these up with the natural horizontal line following the door seal, and apply. 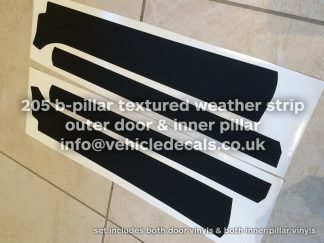 We recommend using a soft squeegee (or felt-backed one), and a small amount of heat to soften the vinyl as you push it into the corners of the door. These also wrap around the rear of the door by about 10mm (1cm) onto the hidden skin to make them really robust. 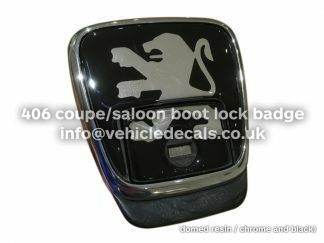 This includes both stickers to do both doors.